The Teenage Mutant Ninja Turtles TV franchise has now been rebooted more times than a laptop with its update settings locked to “constantly, and forever.” Now, Nickelodeon has announced yet another facelift for the long-running series, with Variety reporting that the network will soon be abandoning the 3D CGI look of the current Ninja Turtles series, which first aired in 2012. 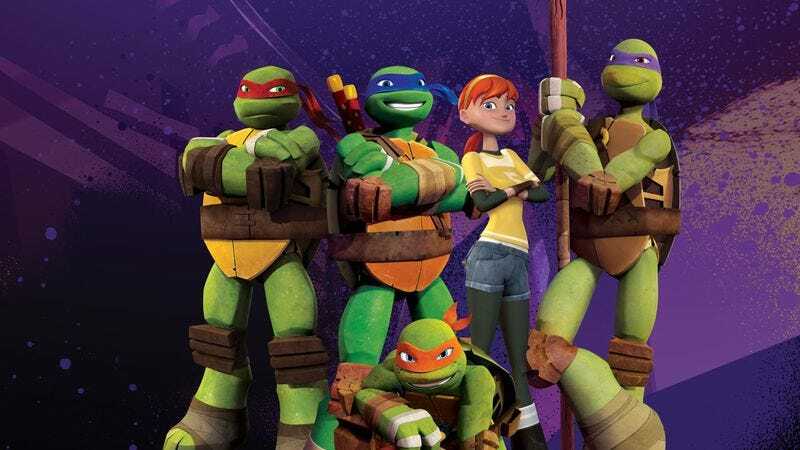 That series will get one more season to wrap up its plotlines before a new 2D-animated version—titled Rise Of The Ninja Turtles— will introduce yet another version of Leonardo, Donatello, Michelangelo and Raphael to the reptile-loving public. The new series debuts in 2018. Andy Suriano, character designer for Adult Swim’s upcoming Samurai Jack revival, will co-produce, alongside current Teenage Mutant Ninja Turtles producer Ant Ward.